According to a new study published in the Journal of the American Medical Association, women who experience preeclampsia during pregnancy, a well-known complication linked to high blood pressure, may give birth to babies who are at a higher risk of suffering heart defects. The trademark symptoms of preeclampsia include high blood pressure, signs that the pregnant mother’s organs aren’t functioning properly (including poor kidney and liver function), intense headaches, difficulties with vision, and protein detected in urine. The study analyzed the medical records of two million Quebec-born infants whose births occurred between 1989 and 2012. Of the pregnant mothers involved, 73,000 files reported preeclampsia during pregnancy. According to the study’s findings, babies who were born to mothers diagnosed with preeclampsia saw an increased risk of “critical” heart defects at a little more than 0.1% prevalence, compared to the 0.07% prevalence of critical heart defects among babies born to non-preeclamptic mothers. The findings suggest, however, that this was only the case when mothers developed the condition prior to their 34th week of pregnancy. When it came to milder “non-critical” heart defects, the risk among babies born to preeclamptic mothers rose to 1.5%, compared to 0.8% of babies born to preeclampsia-free mothers. This was true regardless of when the mother developed preeclampsia during her pregnancy. As reported by the Centers for Disease Control and Prevention (CDC), 25% of all congenital heart defects (defects found during birth and in infancy) in the United States are considered critical heart defects. Generally, these defects make surgery or treatment within the baby’s first year mandatory. 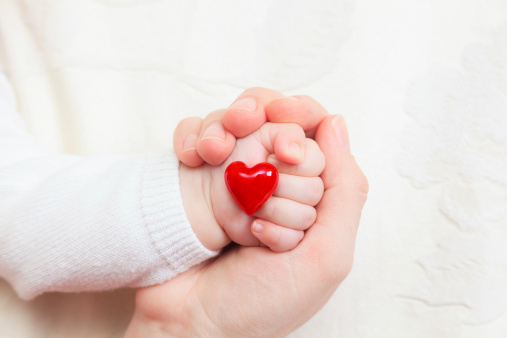 Understandably, these critical heart defects are the main focus of concern among the study’s researchers. Dr. Nathalie Auger, the study’s lead researcher, stresses that pregnant women with preeclampsia should not overly worry about an increased heart defect risk for their baby, since the risk is very low at 1.5% most for a non-critical defect and 0.1% for a critical defect. Having said that, Auger does note that the connection is useful for women and doctors to ensure that any defects are detected early and treated effectively. In fact, because preeclampsia is often diagnosed after the 20th week of pregnancy, and most often in the third trimester, and major heart structures develop in the fetus early on in the pregnancy, Dr. Auger acknowledges that it’s unlikely that the condition is causing the congenital heart defects, but is perhaps contributing to underlying problems in the development of blood vessels in the fetus. They further suggest that preeclampsia and congenital heart defects may share underlying biological causes. Researchers conclude that the findings prove that women and their healthcare professionals need to ensure good prenatal care, particularly in preventing or diagnosing preeclampsia as early as possible. Auger’s study is the first to establish a connection between preeclampsia and the onset of newborn heart defects. Auger and her researchers hope this is just the first step toward further research behind preeclampsia and congenital heart defects, hopefully leading to the eliminating of risks for both conditions. Preeclampsia is diagnosed in two to eight percent of pregnant women. The condition can lead to serious complications, including premature birth, low birth weight, seizures and coma in the mother, and placental abruption, which occurs when the placenta separates from the uterus, potentially causing life-threatening bleeding. The cause is unknown, but the condition is linked to abnormal blood vessel development in the placenta. Norton, A., “High Blood Pressure During Pregnancy Tied to Newborn Heart Defects,” Medicine Net web site; http://www.medicinenet.com/script/main/art.asp?articlekey=191312, October 20, 2015.